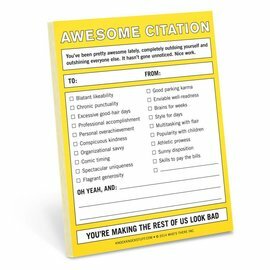 Get immediate answers to life’s everyday dilemmas! 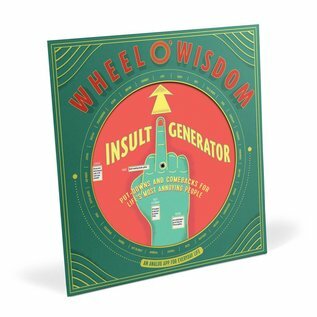 Our Wheels o’ Wisdom share insight with a simple spin—like how to shut down foes so fast they’ll need first aid. 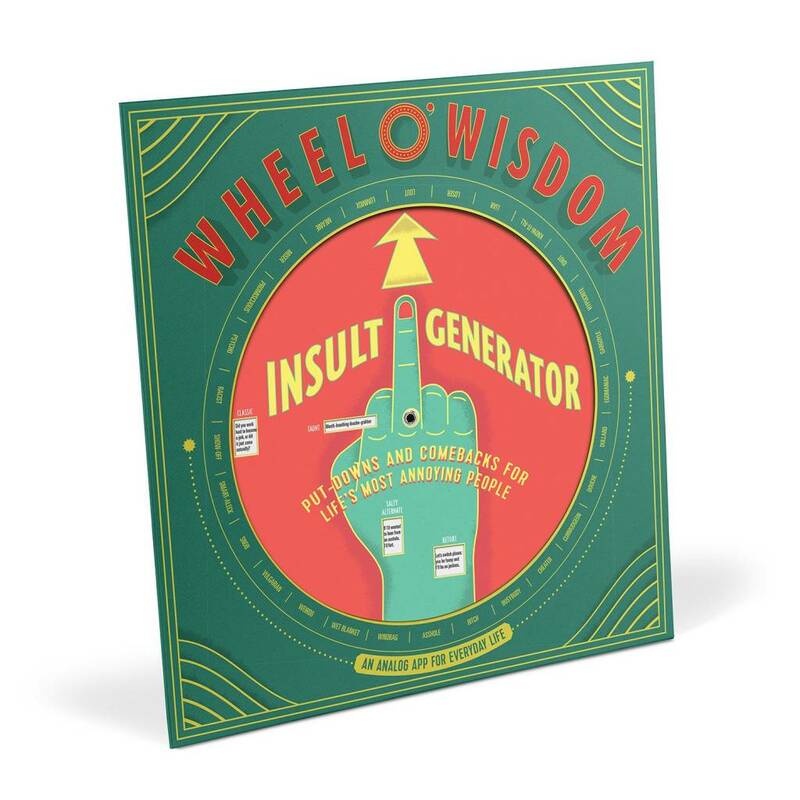 Contains 112 funny insults, corresponding to the type of jerk you’re confronting—all the ammunition you need in the war of words! 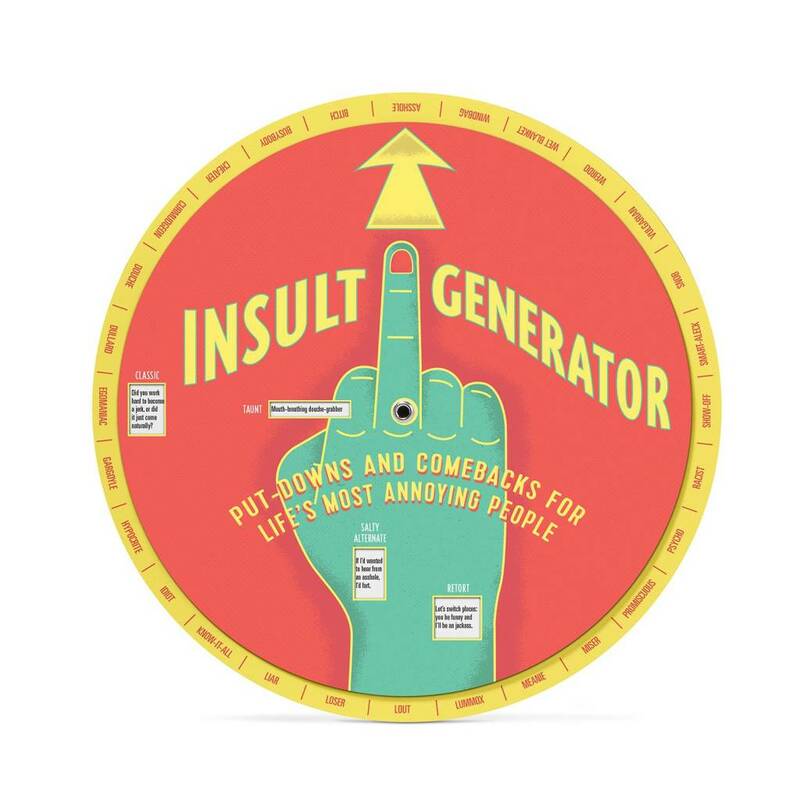 Dial up awesome put-downs and good comebacks for life’s most annoying people.